The third anniversary of Valamar Jazz Festival was celebrated at a somewhat earlier date, from June 20 to June 23, 2012, but the weather was as beautiful, the music as inspiring and the atmosphere as unique as in the previous editions. For four days, from July 6 to July 9, 2011 the city of Poreč lived jazz. 50 exceptional musicians performed on seven different locations within the main and accompanying program, giving us the highest pleasure of music. 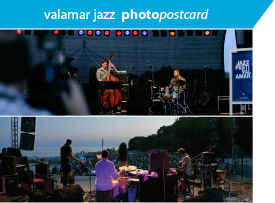 The first edition of Valamar Jazz Festival was held from July 9 to July 11, 2010, immediately registering Poreč on the map of European jazz events thanks to the top quality of its program and the unique atmosphere of the venue by the sea.